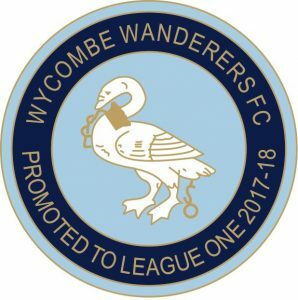 Yes it’s not too late to carry on celebrating promotion for the Chairboys from League 2 to League 1 which was achieved with a game to spare at the end of April and celebrated with the Party at the Park on May 5th. Terry’s Badges stall will be back at Adams Park for this coming season and amongst his stock of WWFC – themed badges will be this special one as seen on the right. As with all the badges, this one will be on sale for just £3 with all profits donated to help the Club. See Terry’s stall in the lower car park before the first game vs Blackpool on Saturday 4th August.